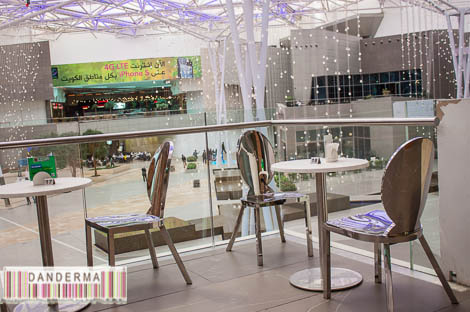 A while ago I was dining in The Cheesecake factory when I looked up and saw a gleaming little cafe with crystal chandeliers and bright silver chairs on the first floor overlooking the entrance of the Grand Avenues. 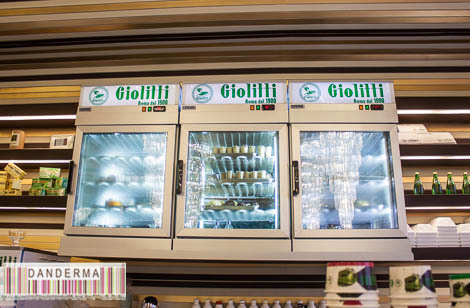 I squinted, and could make the words “Giolitti”. 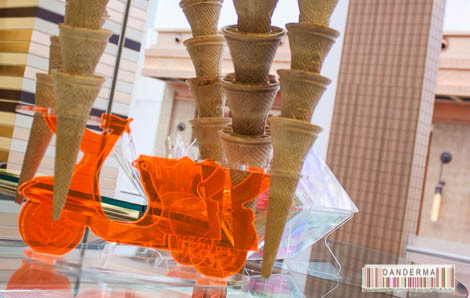 A gelato place! I told myself that I will be back another day to check it out and I finally had the chance to do so last weekend. 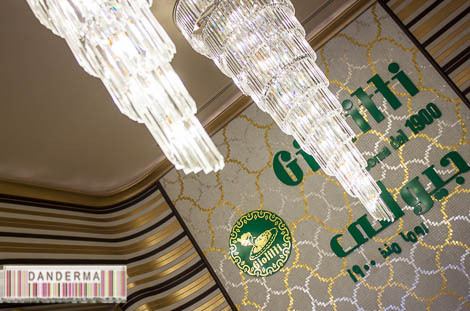 When you approach Giolitti you notice the celebratory opening baloons still strung up on its entrance and the sign above the doorway that says “Rome since 1900″! That’s one hundred and thirteen years old! 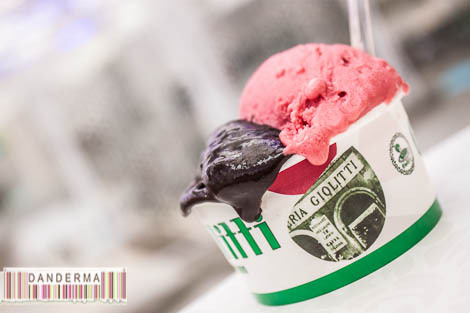 That’s also the very same gelateria I went looking for on my honeymoon in Italy because I read somewhere it was one of the best gelaterias in Rome. I think I have pictures of the place but I will have to look them up. 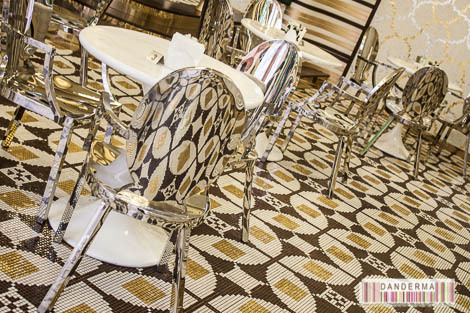 The interior is a fusion between old 1900’s decor and modern 2000’s furnishing with grand chandeliers, gleaming silver chairs that reflect the gorgeous tile patterns, and bright acrylic biscuit cone holders. Old like the good Italian eateries, modern like the current age we live in. There were plenty of flavors to choose from and I wasn’t very hungry so I took a small cup. I had a hard time choosing but I did taste a few flavors and they were excellent! 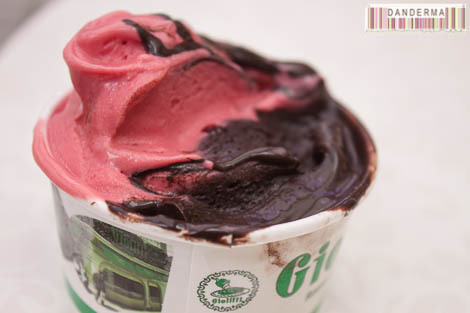 I ended up choosing dark chocolate and raspberry gelatos. My husband took the tiramisu and the marron glace. 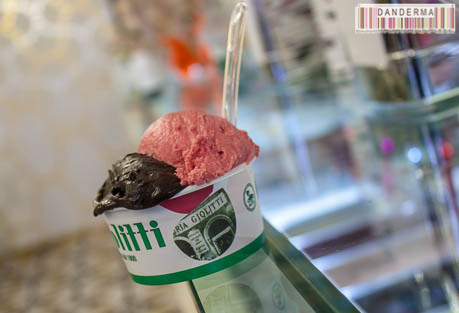 I think I took about a hundred pictures of my gelato cup but I still wasn’t satisfied! It still looked better than what I captured in my shots! 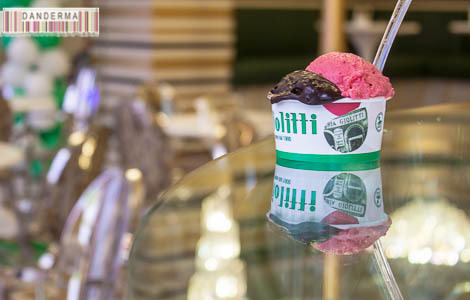 We took our gelato cups outside where we sat on the terrace/walkawy overlooking the Grand Avenues. The view was very nice indeed and you could see people walking around yet it was still quite and less noisy than being downstairs. 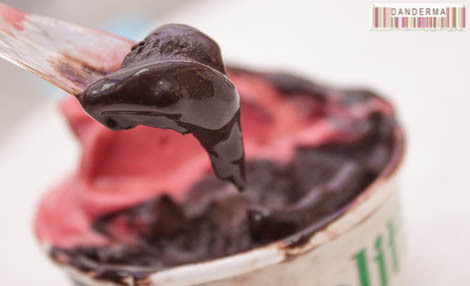 Back to my now-melted gelato cup, the dark chocolate was so rich, so velvety, so chocolatey! I’m not crazy about chocolate in ice cream form but this dark chocolate gelato was excellent. The raspberry was light and sweet and added just the right contrast in flavor that I needed. Yum! 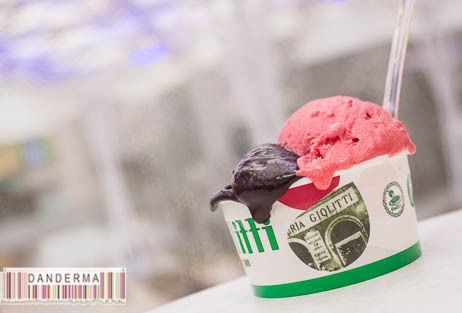 I am defienetly going back on a completely empty stomach to have me a big fat multi-flavor gelato cup topped with yummy things and all that razzle dazzle. 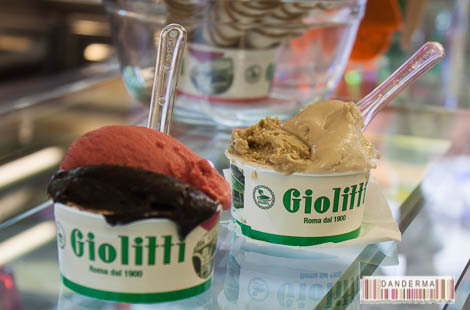 I didn’t know it was the Giolitti! 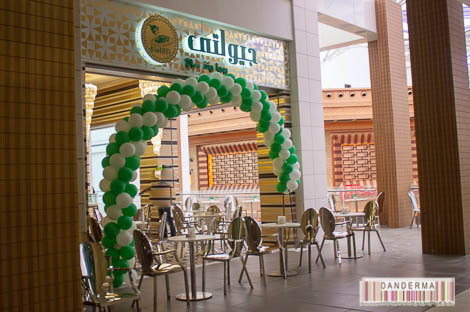 They are also open in Dubai by the way. 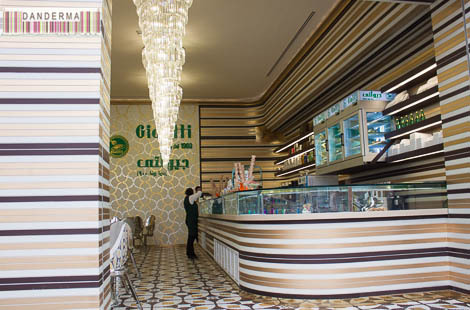 Giolitti is located in the Avenues phase II right besides Colour Me Mine and Elevation burger and right above Casper & Gambini’s. For more information you can check their website (link). Yes their dark chocolate was decadent! 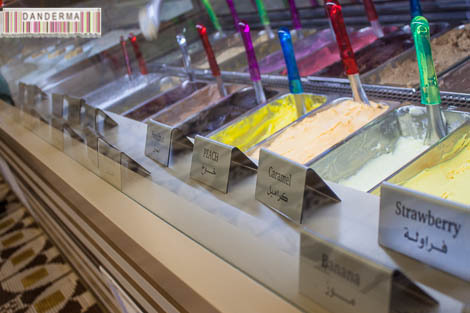 The only gelato place in Kuwait I think is amazing. Absolutely loved it! Try their hazelnut next time. SO GOOD! Try the Oreo flavor ! it’s great . Didn’t see that one, will do for sure!